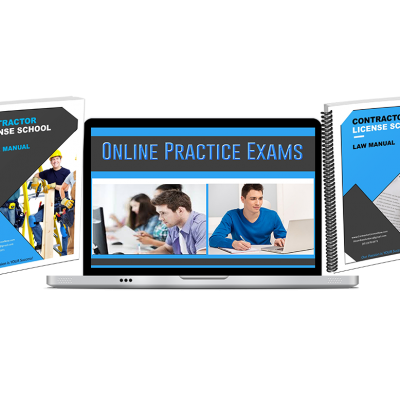 With Online School Lite, you’ll get all the resources you need to prepare for the California Law and Trade state exams you have to pass to become a licensed contractor. Here’s what’s included (and we’ll breakdown what each of these items are). The textbook is hand-crafted to teach you everything you need to know. You use this textbook, not just for studying, but as a memory device. It’s a fill-in-the-blank book that you use while you watch the Law Videos. This scenario forces you to focus (interaction), which causes you to learn and retain the information more easily. 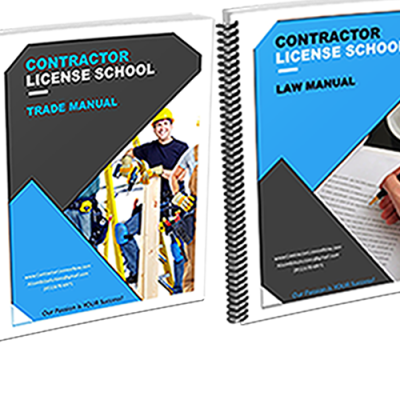 Whatever trade you’re trying to become licensed in (be it General B, Landscaping, or perhaps something more obscure), we have trade teaching audio CD for you. Pop these CDs in and follow along in your Trade Textbook. 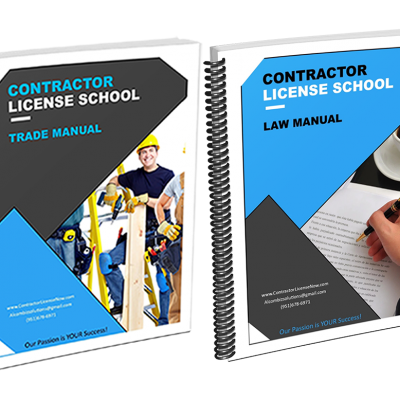 You get the Law and Trade classes in video format, rather than just audio. The Law Video can be accessed online. The Trade Video will be shipped to you in DVD format. 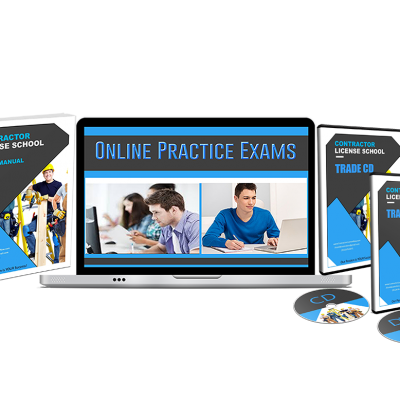 Basically, you’ll get video, audio, and practice tests — more than enough to get you ready for that state exam.